It has been well documented, proven, verified, and stamped with numerous seals of approval, but I'll mention it one more time just in case you didn't get the memo; Taika Waititi is a genius. This Kiwi King of Comedy hails from northeast New Zealand, has a Maori father, a Jewish mother, and has produced two of the island nation's highest grossing films of all time. He is an actor, producer, writer, and has directed an impressive if not widely-known list: Eagle vs Shark, Flight of the Conchords, Boy, What We Do in the Shadows, Hunt for the Wilderpeople. He is also moving into Hollywood with two upcoming films, writing Disney's Moana and directing Marvel's Thor: Ragnarok. Like I said, he's a genius. Waititi is a man who can do anything, a spectacular comedian, and a weaver of stories that both delight and break your heart. 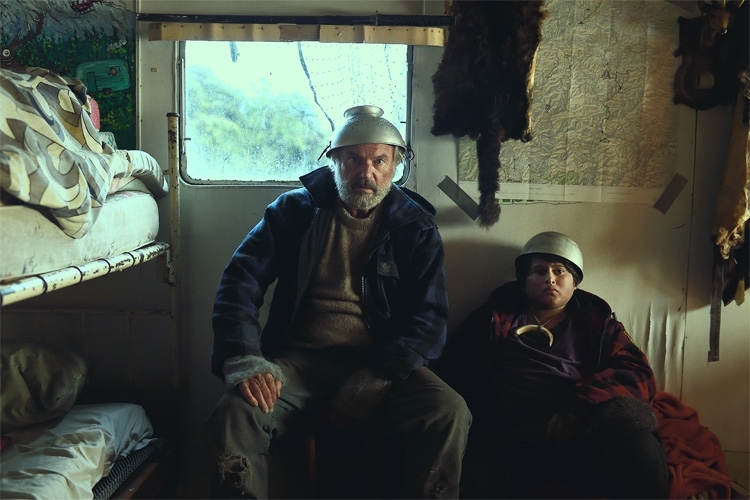 He's back at it again here with Wilderpeople, a film that instantly becomes one of my personal favorites. Ricky Baker is an unwanted child who has become one bad egg. His various juvenile crimes include breaking stuff, taking stuff, defacing stuff, stealing stuff, loitering, and graffitiing. On his very last chance, and on his way to a detention center if he doesn't straighten up, Ricky is sent to a farm in the bush to live with a childless couple who are lonely for a child's love. Bella is a mother down to the core, a woman who fills your hot water bottle to keep your bed warm at night. Hector is a grumpy woodsman, but he cares for Bella very much, and will do what she wishes, including taking on a troubled kid. Ricky, for his part, wants to run away, wants to listen to rap music, wants to be a gangster, and doesn't want to become anyone's little boy. But the trio find unexpected happiness together over the coming months, raising hopes that this unlikely situation just might work. A tragic event spoils the magic though, erasing the progress, and sends Ricky back into a spiral of self-destructive behavior. He runs away for good this time, losing himself in the jungles of the New Zealand countryside so deep that Hec has to delve in to find him. But when Hec injures his foot and the pair are forced to live in the woods for a spell, Child Services and the public eye believe that Ricky has been kidnapped by a pervert. The government begins a nationwide manhunt, or boyhunt if you will, for Ricky and his captor. Only, the duo no longer want to be found, they are beginning to love their life in the bush, and are also learning to love each other as father and son in the process. 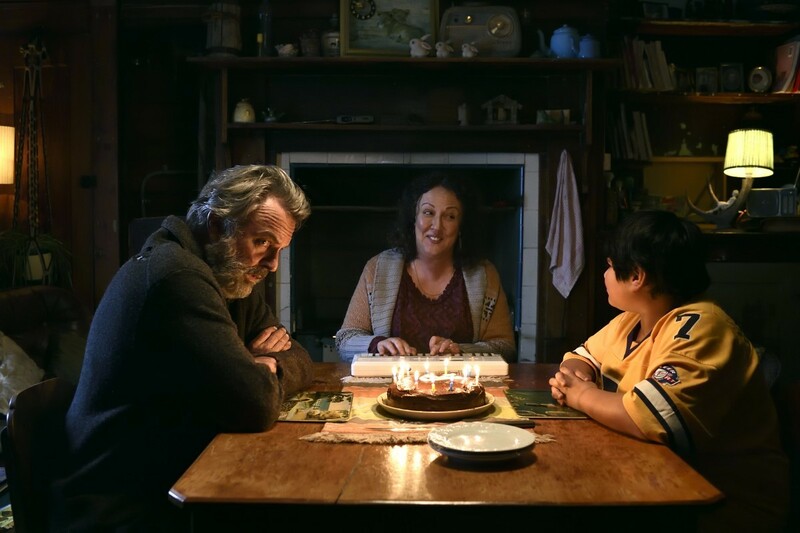 One step ahead of the huntsmen, these self-titled Wilderpeople will fight for their right to live an unconventional life, to spend their days away from the modern world, a place that has always done them more harm than good. I'll admit that the summary I just wrote doesn't sound very much like a comedy, that it sounds a bit depressing actually, and there is a fair amount of sadness, hopelessness, and despair to this story, but that only makes it all the stronger. Waititi weaves tragedy in with his comedy in a way that would make Shakespeare proud, elevating us through the elating moments, burying us with grim determination through the morose. It's this blend of heart-breaking with heart-warming that makes him such an unusual talent, his ability to make you cry in one scene and come up with the most stunning comedy in the next. And this film is funny, don't get me wrong, Waititi doesn't leave that behind, he only allows us to understand that life is often deadly serious, which makes the funny moments that much more worthy to cherish. 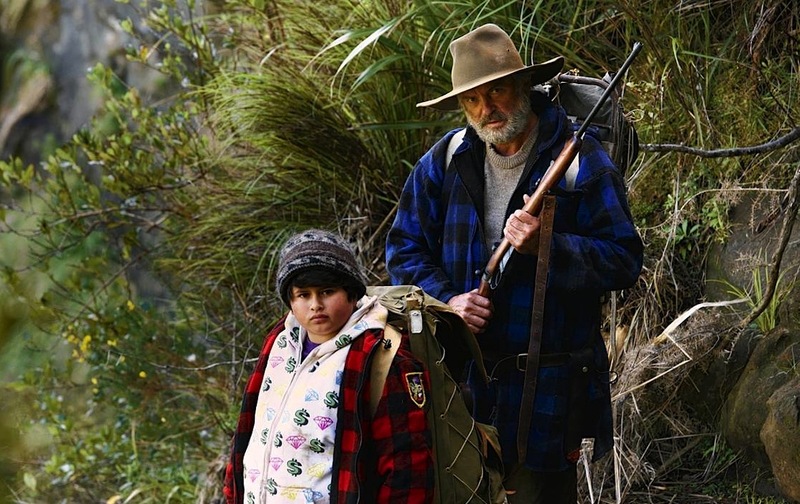 Hunt for the Wilderpeople is an oddball comedy in the vein of Moonrise Kingdom, but with a touch of The Hunter thrown in for balance. With less characters than a Wes Anderson film, but just as much original wit, I'd venture to say that this film is better than most of those created by my favorite director, except, of course, for The Royal Tenenbaums. I'm comparing apples to oranges, as they say, but there are similarities in style here, so it's worth mentioning. 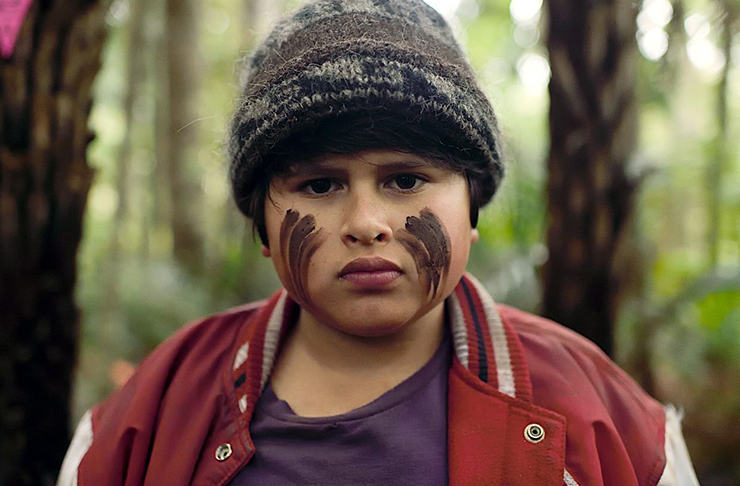 I don't know where they found Julian Dennison, but I can't imagine any one else in this role, and the same goes for Sam Neill, really, who I've never seen do better. A slew of clever American movie references will make you feel right at home, the pace is perfect enough to satisfy the pickiest critic, and, as long as you can settle into the flow of the comedy, this is a movie that will remind you why you began loving movies in the first place. Video: With an aspect ratio of 2.35:1 Anamorphic Widescreen and shot using Arri Alexa XT and Red Epic cameras, the film quality of this film is high enough to support the story, not strong enough to warrant much attention. There are plenty of beautiful shots of the New Zealand countryside, wide pans and aerial views, which provide a nice level of respect for the locale, but the picture quality itself is just normal movie fare, nothing special. Audio: The DVD was done in English 5.1 Dolby Digital, with subtitle choices in English, English SDH, French, and Spanish. There are no other sound options, and the audio quality follows the video into relative obscurity. The soundtrack, however, is pretty superb, Waititi always paying special attention to the song selection in his films and highlighting the entertainment with music that supports the mood. Extras: There are only a couple special features on this disc. Commentary can be played alongside the film, with insight from the director and from the film's two stars. A quick three minute behind-the-scenes segment is available for your viewing pleasure. And there's a blooper reel, two minutes of mistakes and goofs. DVD Talk Collector Series. 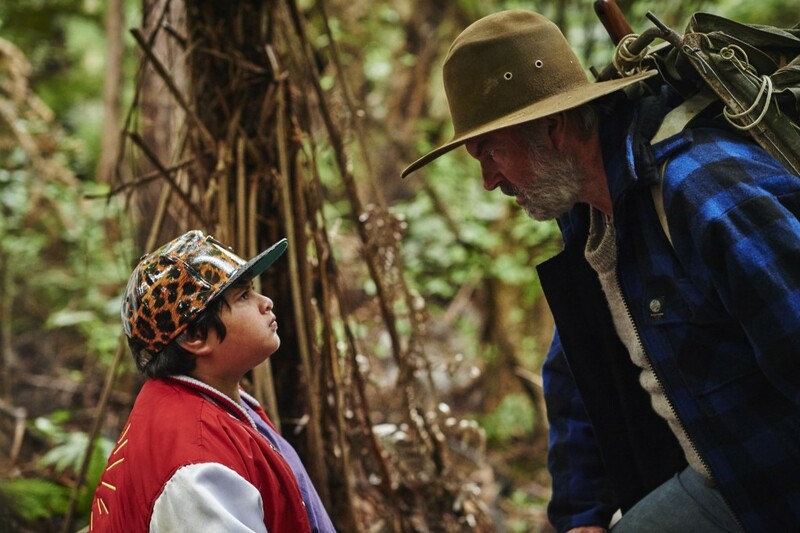 Hunt for the Wilderpeople is part of a rare group, movies that immediately feel like old favorites, films you've seen and loved a hundred times. Waititi has the insane ability to make you believe that you've always known his characters, always understood their problems, always been on their side. This movie will grow on you like moss, comfortable and sweet, making you believe that you can't do without it. It's magic, really, and Waititi seems to be able to weave it at will, especially when the story centers on New Zealand boys and their desire for love. Makes you wonder what the guy's gone through himself, but as a fan I can only say, I'm with you Taika, I've got your back. The video of this film is fine, the audio just as average, and there are a few short extras on the disc if you're interested. Off the top of my head, I can only think of only one new movie that I've seen in 2016 that was better than this (Hell or High Water), putting Wilderpeople in an elite group; a well-deserved spot.